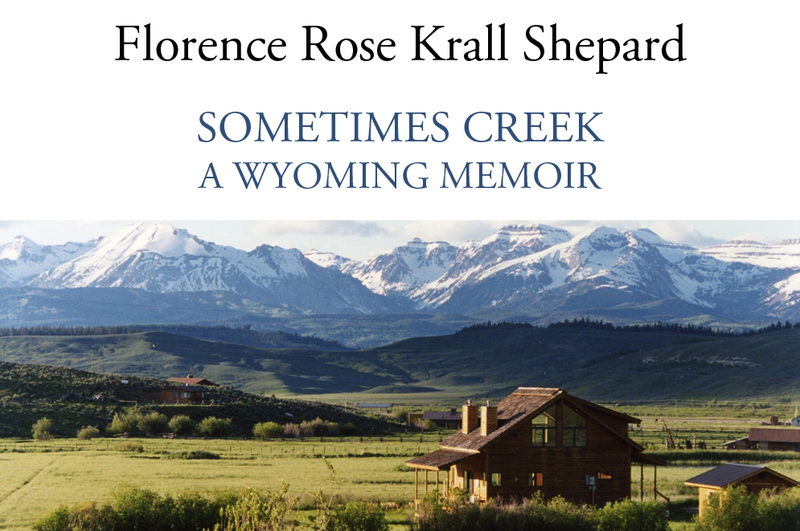 SOMETIMES CREEK: In this historical memoir, narrated through the seasons from her cabin in western Wyoming, Florence Rose Krall Shepard retraces the contours of her long life. From the landscape of childhood on a sheep ranch during the Great Depression, to a one-room school and universities, through motherhood and environmental teaching and activism, she pays tribute to her nurturing, Italian-immigrant parents and the wonders of the natural world. Each step along the way presents challenges from which she gains new perspectives. AUTHOR Florence Rose Krall Shepard is Professor Emerita of Educational Studies at the University of Utah, where she taught educational, environmental, and feminist studies. Over the years, her narrative writing appeared in numerous journals and anthologies; and, in her book, Ecotone (SUNY Press, 1994). She also edited and published Paul Shepard’s post-humous books, including Coming Home to the Pleistocene. She is the proud matriarch of four children, seven grandchildren and five great-grandchildren. Flo lives in Wyoming’s Hoback Basin for much of the year and winters in Salt Lake City, Utah.